On February 5, at 16:35 information was received to “911” service that a car accident had occurred near the gas station of Marmarashen village, Ararat province: the rescuers’ help was needed. 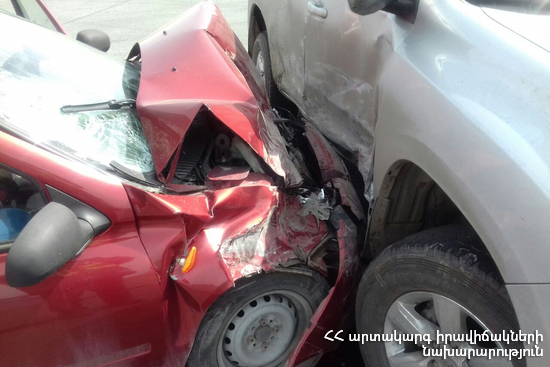 It turned out that “Mercedes C180” and “Nissan X-trail” cars had collided near a gas filling station on Masis highway. Before the rescuers arrived at the scene the drivers had been hospitalized to the medical center of Masis town. According to doctors one of the casualties was in satisfactory condition, the other driver was taken to “Erebouni” medical center. According to doctors the casualty was in serious condition.